The last couple of years have seen some quite significant advances in our understanding of brain function and mood disorders. New tools for measuring what’s going on and for guiding treatment and entirely new approaches to treatment. We’ve started using a genetic screening tool that in about 1/3 of patients with treatment resistant depression, yields insights about the most effective treatment. Read more about the Genecept assay here. A recent article suggested that a common medical lab test (C reactive protein) may distinguish types of depression with different responses to different medications. For more read the article in the American Journal of Psychiatry. And we’ve been measuring brain function with the use of neuropsychological testing (CNS Vital Signs) to correlate changes in brain function with mood and medication changes. 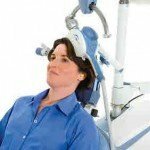 We have recently started using rapid Transcranial Magnetic Stimulation (TMS) a non-invasive, non-medication based treatment of depression with almost no long term adverse effects to treat patients with depression, with some early compelling results. Finally, there is compelling evidence that glutamate modulators – like ketamine – have profound and dramatic effects on depression, raising the potential of an entirely new class of medications. For a long time it has seemed as though the treatment of depression from a neurobiological standpoint had stalled with more and more “me too” medications but nothing really new to help us provide more effective. That time seems to be passing.